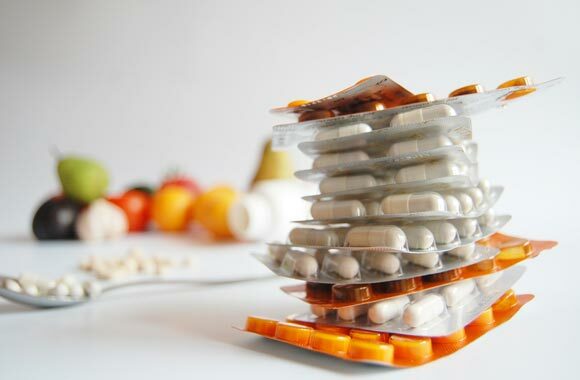 Dietary supplements are combinations of the experimentally derived natural food ingredients (Animal, vegetable and other materials within the diet such as vitamins, minerals and essential fatty acids and the amino acids …. ), these are products that can influence the body’s biochemical mechanisms, and containing food material or composite which is used by the person who aims to increase its rate in the body or muscle cells in order to improve performance to achieve a specific goal such as obtaining the necessary energy, or to increase muscle mass, or to maintain overall health, and all that without ever contain any chemical compounds. The problem these days is the difficulty to obtain proper and full nutrition out of ordinary food, making the supplements a very important factor to enjoying a life free of health problems, and now more than ever our food system is falling behind, and can’t provide us with the proper nutrition needed by our bodies to work efficiently, where the vast majority of us eat canned and not fresh food, even fresh foods, take a long time to be moved from the farms, which helps in losing much of its nutritional value, and that drew the attention to the use of dietary supplements, which is the optimal way to get a whole food components that provide the body with energy, vitality, and activity. The sources of our food directly linked to the high rate of infection with many serious diseases, where studies have shown that heart diseases, diabetes, cancer and strokes associated with a direct correlation to what we eat and how active we are, and since the logic says that athletes are generally the most people in need for proper nutrition and integrated elements, then we can deduce that those people are the most familiar with the importance of feeding the body properly and the importance of supplying minerals, vitamins and essential fatty acids and the amino acids, and these are the substances responsible for the rates of physical force and the nature of mood and psychological condition and the recovery process of the cells after strenuous and hard work. Complex vitamin (B): it helps to prevent anemia and to compensate for the missing of the vitamin (B), this vitamin is taken at 100 mg 3 times a day. Injection of vitamin (B 12): it Increases the appetite and prevents both hair loss and damage to multiple organs in the body, if the injection isn’t available, it can be taken by emulsification tablets or tablets under the tongue, it is taken at 1 cubic cm 3 times a week, or according to the doctor prescription. Vitamin (C): Vitamin C is necessary as it is very important for the damaged immune system, and to decrease the pressure on the adrenal gland. Brewer’s yeast: the Yeast contains balanced amounts of vitamin B, the anorexia nervosa patient takes a teaspoon amount per day and then it increased to a tablespoon a day.